Sue started working for Sandbach Partnership in May 2010 after a 30-year career working in Local Government. 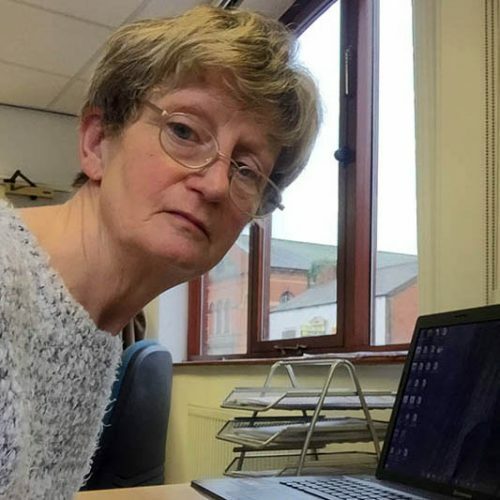 During her career Sue worked for Newcastle Borough Council managing their Community Recreation Service and Congleton Borough Council as a Community Development Manager. Whilst working at Congleton Borough Council part of the Community Development role was to work with and liaise with Sandbach Partnership on behalf of the Council. Sue works part-time at the Partnership and her normal hours of work are Mondays and Tuesdays, her role is overseen by the Management team and she is supervised on a daily basis by the Partnership Chairman Dot Flint.